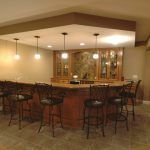 Here are some tips, and advice from a contractor that can help you decide on products and design. The most frequently asked questions I get: Does the cabinet need to match the existing trim in the house? No. This is an opportunity to make a bold statement with the contrast between the existing trim and the new cabinetry. The contrasting colors, or materials will give it unique personality and influence the feel of the adjacent rooms as well. 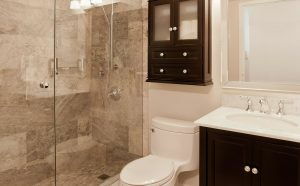 Another piece of advice that I give homeowner is where you purchase your tile. Your choice can greatly impact the cost of your project. The big box stores often by tile by the truckload and often stock some of the newest style trends. 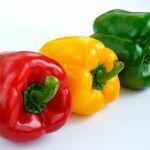 Because they buy in bulk they can sell it at significantly reduced rates. You can typically find a nice tile at the box stores for around two dollars a square foot. While a similar tile at the specialty store could be $10-$15 per square foot. This adds up to huge savings. For example, a typical 80 square feet of material for a shower, and 40 square feet of material for the floor will add up quickly. Be sure to check out the big box store selections first for the best budgeting. Another good place to save some money is the corner shelves. They can’t manufacture corner shelves for every scenario of wall tile but you can get stone ones there usually around $25-$30 a piece. Otherwise you’re left with ceramic and they typically come in a neutral white or a bone color and will work under most circumstances. 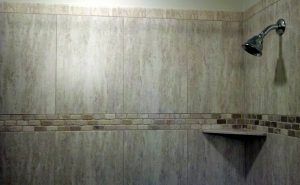 If you simply take a piece of travertine or marble tile and cut it diagonally you can install it in the corners of the shower and use it as a shelf. These tiles are typically around $6 to $10 a square foot and you can get two or more out of one piece of tile. 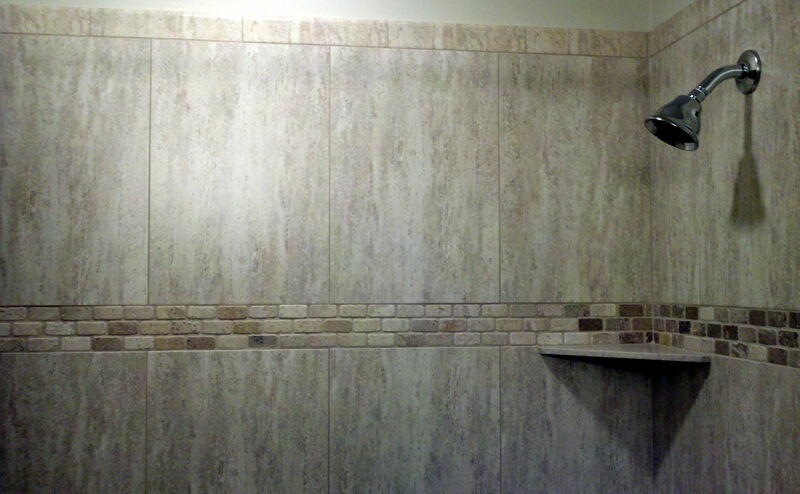 A current design trend is to add a stripe of differing tile around the shower. This is another place you can save money. I’ve seen these cost as much as $25 for a single 3” x 12” piece. Alternatively you can look at backsplash tile. Which typically comes in a 12” x 12” piece and can be found for as little as $4 per square foot. These can be cut down into three equal sections and you can get three lineal feet out of one piece. A big savings for the homeowner. Another frequently asked question is: Should I add floor heat to my bathroom? That’s a difficult question to answer. My rule of thumb is $10-$14 per square foot for the heat cables and the thermostat. You are also likely incur additional costs. Rather than a tile backer board glued and screwed for tile preparation, you have to do a pour in place tile underlay. This may add a day or two to the installation and would add some cost. Where the big expense can be found is that the floor heat needs to be on a dedicated electrical circuit. Depending on how far your circuit panel is from the bathroom this could make the wiring a large expense. Which would also require additional drywall repair and painting and that circuit needs protection with a special breaker that is significantly more expensive than a traditional breaker. I always choose value and quality over buying on lowest price alone. 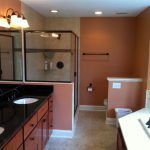 A bathroom remodel project that I completed recently the owners had previously hired a company that specializes in quick bath renew. The renew was completed only five years prior and it seems all they did was cover the old bathtub and tub surround with a heavy gauge plastic. It looked okay, however, doing the demolition it added roughly 5 hours of demolition labor to remove the coverings and get down to the old tile and bathtub for removal. In my opinion this type of remodel might be right for you if you’re only planning on staying there or selling within a couple of years. In the long run it’s hard to argue with the tried-and-true method of building a quality bathroom.